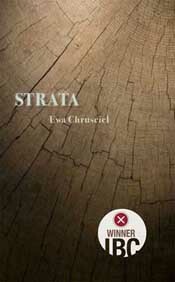 “In Ewa Chrusciel's first book in English, Strata, an exile's memories are so overcharged that they explode into “dots. We are burying them every day. We are burying them in staccato rhythm. They rise and accrete. They beat electric letters in the air.” Magicalized by an enormous nostalgia, these memories are at once a rapture of possession (of being possessed) and defeatingly untotalizable. There are no connectives, the dots just won't add up. Even so, Chrusciel's striking sentences keep intermingling in ever-changing permutations, as if seeking a crystallizing formula. Strata is at once a tumultuous revelation of how much of the past there still is, right here in the near flight of letters, and of the burn of being in time at all, the difficulty of catching up with oneself in a universe that is never one, but always scattered. Strata is a book of concuspiscences, of combings for pleasures, yes, but even more for the Sacred of the Book it wants to be. In its every line, it shows that the rhapsodic is the right approach to the truth about the world." Strata is a series of interconnected lyric prose poems that fluctuate between order and chaos like flocks of swallows rearranging themselves in flight. The rhythmic oscillation of the poems builds into a postmodern story that weaves through the life of a poet who’s migrated from Poland to the U.S. The world is magnificently large from any vantage point and Chrusciel helps us locate something larger than ourselves by constantly holding both the particular of her life and the universe at each moment. With the title, Strata, meaning "loss" in Polish and "accretion" in English, Chrusciel braids, juxtaposes, and synthesizes through repetition, despite a wide range of subjects. Her alchemy includes exquisite details about parents and ancestry, the paradoxes of belonging to two languages, the miracles of existence, the joy and angst of love and belonging, the sorrow and dislocation of Eastern block politics, and a chorus of spiritual incantation and transient revelation. — Jayson Iwen, judge for the Emergency Press International Book Contest and author of Six Trips in Two Directions and The Momentary Jokebook. Available in print or as an ebook at Indiebound, Powell's, Amazon, Barnes & Noble, Google, Apple, and more. Main distributors are Ingram and Baker & Taylor. Emergency Press is based in New York and publishes explorative books of fiction, poetry, non-fiction, and emergent forms that fall outside traditional categories. Every year, the press hosts an international contest for book-length examinations of a single topic. EP books are carried by major distributors and wholesalers, and available in bookstores across the nation and through major online booksellers. 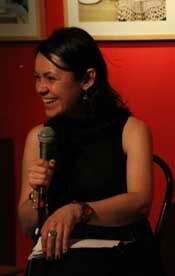 Ewa Chrusciel won the 2009 Emergency Press International Book Contest for Strata, her first book published in English. 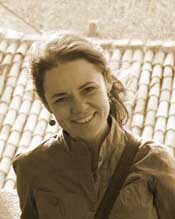 Prior to Strata, she released two books in Poland—Furkot and Sopilki. Chrusciel’s poems and translations have appeared in many books and magazines in Poland, England, Italy, and the United States, including The Boston Review, The Colorado Review, and Aufgabe. She is a professor of humanities at Colby-Sawyer College. Emergency Press encourages you to visit your local independent book store to buy Strata. If it's not in stock, ask them to order it. Otherwise, it is available in print or as an ebook at Indiebound, Amazon, Barnes & Noble, Google, and Apple.